Healthy Balance is an Android 2.1 mobile phone application that helps you maintain a balanced and healthy diet. 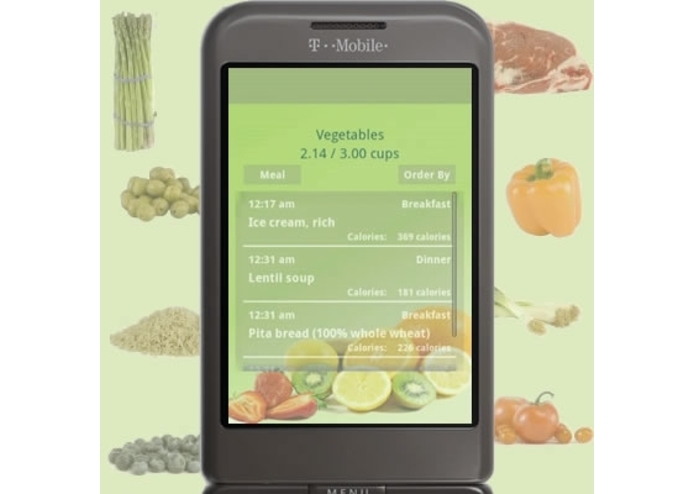 Using the USDA Nutrition Dataset, it is a tool to highlight proper dietary habits, emphasizing on the daily consumption of the appropriate amount of calories, grains, vegetables, fruits, dairy, meat & beans and essential oils. It also keeps track of all the “extra” calories you consume through out the day. Healthy Balance keeps it simple so that logging your food is not such a choir and since it's on your mobile phone, it's available where ever you go. With a better understanding of how much and what kind of foods you're consuming, you'll be able to make better choices on portion size and food selection.